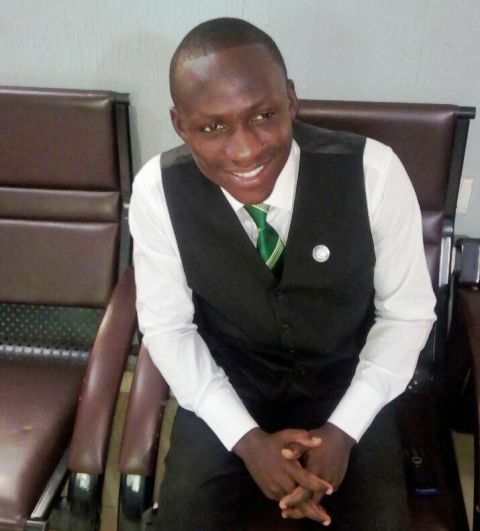 He who finds a wife, finds a good thing—and Johnson Owusu Tawiah popularly known as Obibinii has vowed not to let the year 2016 end without being engage to someone he loves so much. 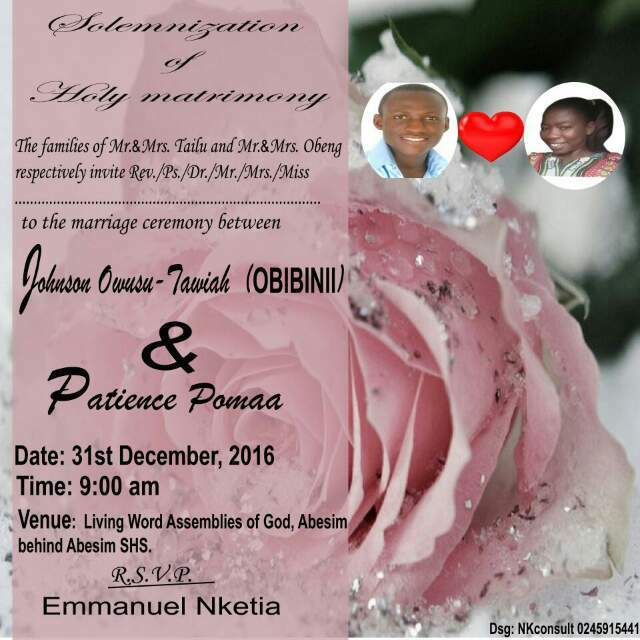 Obibinii who is a teacher at Royal Professional School of Journalism, Solomon Bennett Memorial School and an Entertainment Critic, will walk down the aisle with Patience Pomaa on 31st December, 2016. The ceremony will take place at Living Word Assemblies of God Church at Abesim, a suburb of Sunyani in the Brong Ahafo Region. Johnson Owusu Tawiah (Obibinii) is also gearing up to come out with a news paper called ‘The Mission Newspaper’. He has written one (1) book titled ‘Journey To Journalism’. We wish them all the best!! !